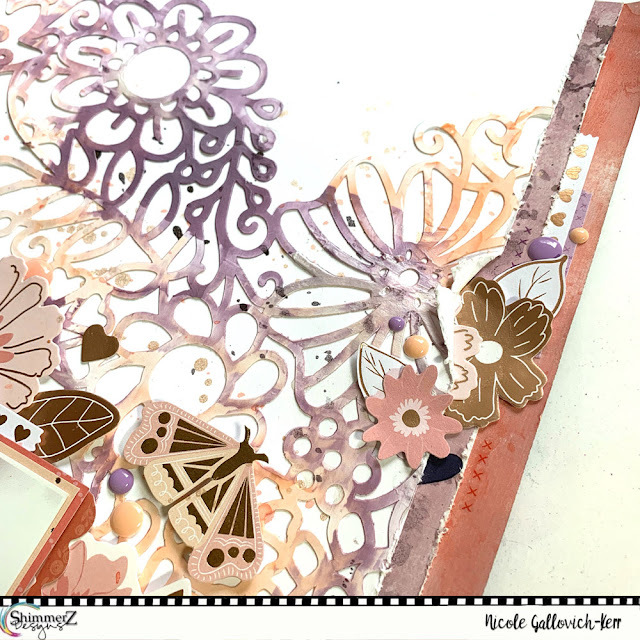 Nicole here and today I have the pleasure of featuring a cut file designed by Paige Evans! 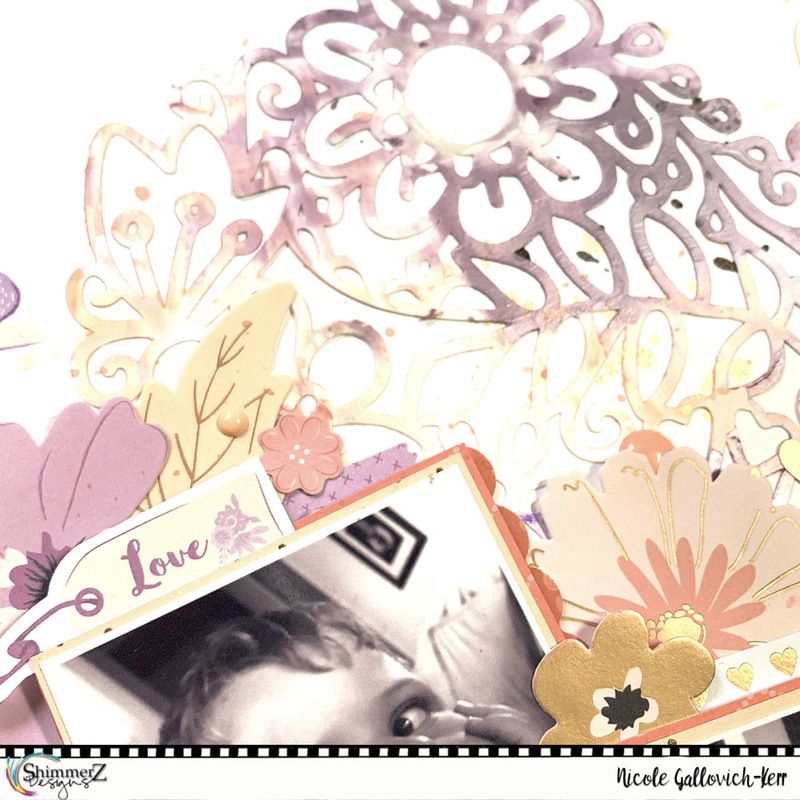 This cut file is exclusive to Shimmerz Paints and is available in the Missy kit this month. 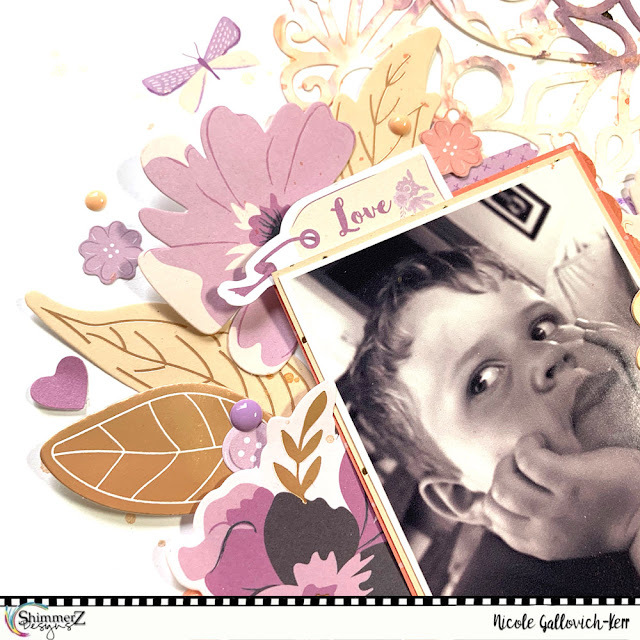 For today's project, I paired this cut file with Paige's Whimsical collection. I began by cutting the beautiful floral heart with my Silhouette and my initial intention was to use it as a stencil with my Shimmerz Dazzlerz. Turned out, I loved the cut out piece more, so I used it instead! I mixed together Dazzlerz in Grapetastic and Paste-eez in Yell-O It's Me to get this perfect shade of purple and Paste-eez Peach Fuzz and Dazzlerz Spun Sugar in other areas. When you place an order in the Shimmerz Shop, mention my name in the comments section during checkout and get a free-bee!